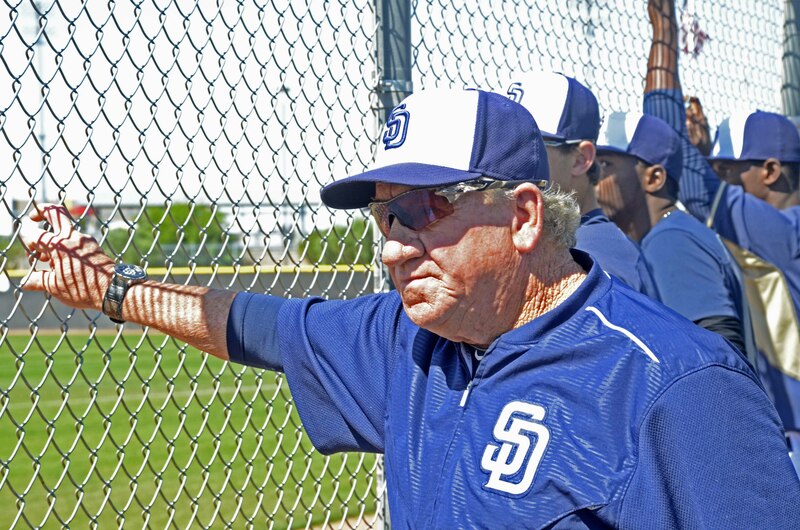 Padre veteran Randy Jones watches the action in a B Squad game in Peoria. Former Padres left-hander Randy Jones, who spent eight seasons with the team and won the 1976 National League Cy Young Award, announced Tuesday he was cancer-free. Jones had been battling throat cancer after receiving the diagnosis during December of last year. 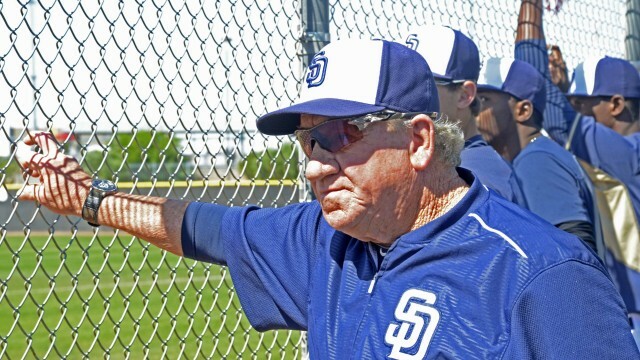 According to Padres.com, Jones, 67, is still with the team in an advisory role and was named director of alumni this past offseason. He also threw out the first pitch at the Padres’ home opener against the Giants on April 7 and at last year’s All-Star Game at Petco Park. Following his December diagnosis, Jones finished his radiation treatment on Feb. 1 before receiving the call he was cancer-free on Tuesday.